About cocking time is all I can say to the news that my main girl is finally getting her own film. I mean Jesus, she’s been kicking about since the 1940’s, around the time the first rumours of a motion picture began (jks). Wonder Woman was, of course quite busy in the late seventies and then… not so much. Sure she’s been keeping herself occupied on the page but while Superman, Batman and all their (male) pals have enjoyed numerous (sometimes tedious) reboots, she’s been languishing in production hell. And no, the wonderfully camp 2011 TV movie starring Liz Hurley as the baddie doesn’t count. 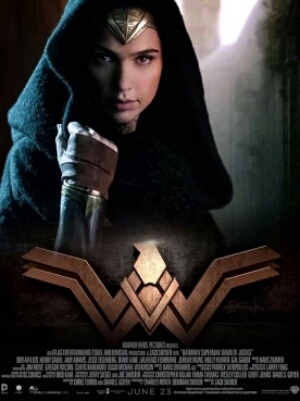 Even if it was hilarious and tried to take a different tack by making Diana Prince a public figure, rather than Wonder Woman’s secret alter-ego. Anyway, it pissed me off to learn that my Queen would be appearing in Batman v Superman: Dawn of Justice (2016) played by Fast & Furious‘ (2009-2015) Gal Gadot. I mean why does she have to play with the boys first? Now I’m over that (just), I can only be excited. I will be in line at the multiplex for BvS, though I haven’t got much faith that it will be any good (Batfleck? Really?). Make no mistake, I’m there for the WW action only – and so far I’m holding out hope. As for the actress playing what could be the greatest role of all time, I don’t know much about her. I can’t remember much about her from the few F&F films I’ve seen but I’m told she’s good (Meghan of That’s Lightletainment! is a fan). Plus she spent 2 years in the Israeli army, which makes her something of a warrior in my eyes – exactly what Princess Diana of Themyscira is. It’s a start. So I’m getting ready to settle down and enjoy my favourite comic character finally on the screen she deserves, in her own origin tale and then subsequent Justice League films (2017 – onwards). I expect her to be sticking it to the men and staying true to her feminist roots. Finally finally. This entry was posted in Heroes, Stuff I Dig, The Movies and tagged Batman, Comics, DC Universe, Fast & Furious, Feminism, Gal Gadot, Superman, Wonder Woman on January 30, 2016 by Christa Bass.